Welcome to the intermediate piano lessons section on PianoLessons.com! Now that you have worked your way through the beginner piano lessons section, this section will go further into the playing of piano. Like the beginner piano lessons section the lessons below are just guidelines as to what you should be learning in the intermediate stages of your playing. Work your way through the intermediate piano lessons below making sure that you are confident in each lesson and you should be able to move on to the advanced piano lessons with no problem! In the Intermediate Piano Lessons section of PianoLessons.com you have a little more flexibility as to what you learn and the order in which you learn it. Since you understand the basics of the piano you can either work your way through the quicklist in order, or you can jump around from lesson to lesson. 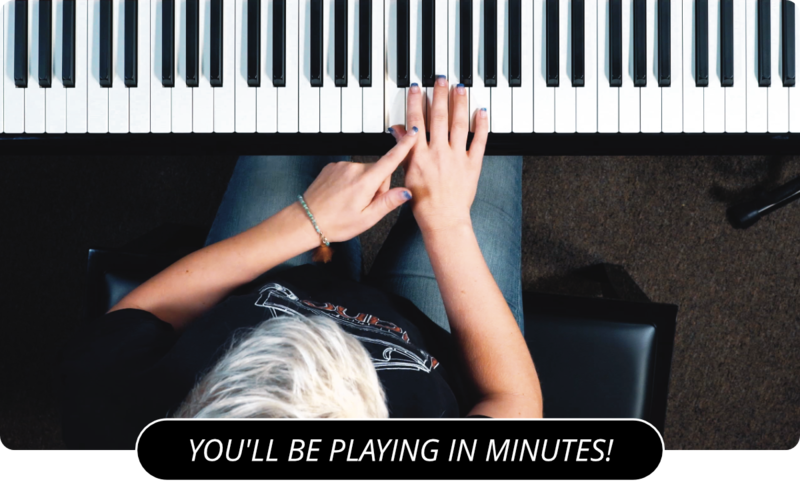 These lessons in the intermediate quicklist are there just to give you an idea of what you should be learning at this stage in your piano playing. At the bottom of each intermediate piano lesson you will find the quicklist containing all of the Intermediate Piano Lessons that we suggest you learn as an intermediate pianist.